A hashtag or this symbol “#” as it is more commonly known has become an integral part of social media. If you have never used it and you’ve asked yourself what is a hashtag and what does hashtag mean, here is a great primer to get you up and running. This article was in part inspired by someone who commented here on Small Business Trends by saying, “I’m still not sure how hashtags are being used, or how to use them, or when to use them, or what the significance is in using them… totally confused ….” We hear you, Dr. C — hashtags are baffling to those who do not spend a lot of time online or who are new to social media. So today we’re going to tackle the question “What is a hashtag?” in plain language. We will also address the business significance of hashtags, and how hashtags can help you in marketing. A hashtag looks something like this: #MarathonBombings or #SmallBizQuote. 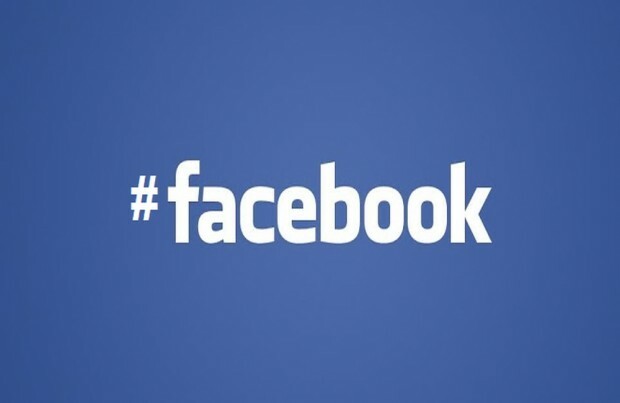 Hashtags are used mostly on social media sites. They rocketed to fame on Twitter. But now you can use hashtags on other social platforms, such as Instagram, Facebook, Pinterest and Google+. Anyone sharing content on a relevant topic can add the hashtag label to their message. Others searching for that topic, can search for that label to find other messages on that same social media platform. For example, during the horrific Boston Marathon bombings in the spring of 2013, several hashtags were used. They proved invaluable for providing and following up-to-the-minute news about the bombings. In fact, several big news stories in recent years have been amplified and added to with citizen reports and amateur video and photographs. Hashtags for such situations also provide a way for the public to express their sentiment — something many of us feel compelled to do in the case of a disaster. When it comes to natural disasters, a hashtag is like an information lifeline. We cling to it, to learn more about the event and provide an emotional outlet. Hashtags, however, are not limited to big news stories. Small business marketers have also cracked the code and figured out inventive ways to use hashtags. We’ll discuss the marketing uses of hashtags more below. But first, let’s talk about some nuts and bolts to understand hashtags better. 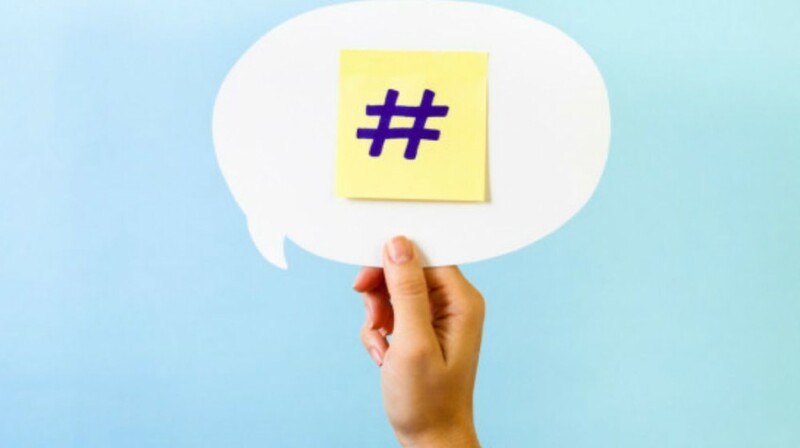 A hashtag can be a single word, an abbreviation, an invented combination of letters and numbers, or a phrase. If it is a phrase, there can be no spaces between words. All letters and numbers must run together without spaces in a hashtag. You can’t have punctuation or symbols in your hashtag (other than the # symbol at the beginning). Numbers are OK, but you must also have at least one letter with the numbers — hashtags cannot consist entirely of numbers. To create one, start with a hashtag symbol # and follow it directly with letters and sometimes numbers. Fun factoid: depending on where you are in the world, the symbol # is called various things. In the United States and Canada, it is called a number sign or sometimes a pound sign. But in other places, such as the United Kingdom and Ireland, that # symbol is called a hash sign. So you see, that’s how these labels came to be called “hashtags.” In essence, a hashtag is a label that consists of a word or phrase tag with a hash symbol in front of it. Anyone can create a hashtag. I’ve created numerous hashtags over the years. You could create one of your own or several if you wish. All you do to create a hashtag is think it up. Then start using it in your messages. Usually, you add it to the end of messages. But you could add it anywhere in the message that makes sense, as long as it’s readable. You are not required to register a hashtag anywhere. There are some hashtag directories around, but they unofficial, outdated and usually not worth the trouble. If you think you’ve invented a hashtag that’s completely new, do a search first on the social platform you intend to use it on. We find that about 25% of the time, the hashtag we want to use is already being used for some other purpose. Now, there’s no hashtag police. So technically, there’s nothing stopping you from using a hashtag already in use. But doing so will cause confusion, or worse, be seen as an attempt to hijack a discussion just to gain attention. If the hashtag you want is in use, it’s best to go back to the drawing board. Don’t forget to check usernames, too. Make sure your intended hashtag is not the same as an existing username on a social network. Here again, it may cause confusion to use a hashtag such as #DellSMB if there is a user @DellSMB. Besides, the user probably would interpret it as an attempt to hijack their brand name. 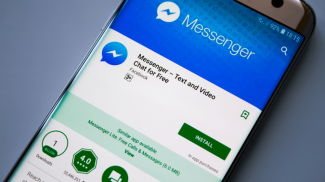 You could find yourself on the receiving end of a cease-and-desist letter, or with the social platform taking action for violating someone’s trademarked name if the issue is taken to extremes. One exception to the uniqueness concept: some people use general topics as hashtags, such #Marketing or #Sales. We discuss the use of general topics below — in essence, no one “owns” a general topic hashtag. Keep hashtags as short as possible. That’s especially important for Twitter where you have a limited character count. It’s best if a hashtag is an understandable word, phrase or abbreviation. Hashtags that are long, hard to pronounce or hard to remember, will be hard for people to use, too. You can’t go wrong with something short and easy to remember. On Google+, you get an added benefit: Google’s technology will automatically assign a hashtag to your content, without you doing anything. You can tell it not to add the hashtag if you prefer, so you can manually add your own hashtags. Rather than creating your own hashtag, sometimes you want to enter a discussion around a topic where a hashtag already exists. You would simply add that hashtag somewhere (usually at the end) of your Twitter tweet or other social media updates. By doing so, you are sharing your content related to that same topic. By adding the hashtag to your content, you are saying “Hey, I want to chime in on this discussion.” Others interested in that topic will see your content. Avoid hashtag pollution. This is using multiple hashtags in a single message. Any more than two hashtags in a message makes it difficult to read. It’s considered bad etiquette to add a hashtag to an unrelated message just to get attention. Always make sure your content is relevant to the hashtag you use. Otherwise, people may report you for being a spammer, or respond testily. You can hold a contest and use a hashtag to get people to enter your contest and gain followers on your Twitter account, too. Be careful on Facebook, as Facebook has certain strict rules about running contests. But it’s easy on Twitter. The #FollowFriday (or #FF for short) hashtag is a simple way to network with others. On Fridays, you give a shout out to people whose tweets you find helpful. This is a key way that followers get our attention, and we’re likely to follow them back. #FF shout to @SmallBizTrends @SmallBizLady @Beinpulse @Irregulars @SCOREMentors for providing great #smallbiz content this week! Text chats are held on Twitter. Since Twitter is just one big open platform, you have to have some way of designating who is participating in the chat. Otherwise, you have no way of knowing whether a tweet is responding to something someone else said in the chat, or not. That’s where a hashtag is useful. Assign a unique hashtag, everyone uses it, and voila — you are hosting a discussion, albeit a text discussion. Don’t want to organize your own chat? Then participate in a standing chat. Try #SmallBizChat on Wednesdays, from 8 to 9 pm Eastern time, with host Melinda Emerson. Read: How to participate in a Twitter chat. Most conferences and business events these days have a dedicated hashtag assigned for the event. An easy way to find out who else is there and connect with them in person is to check the Twitter stream for the hashtag. See who tweets, and then send a direct message to that person, to set up a time to connect. You can find valuable business content through Twitter, by checking hashtags for general topics such as #Marketing or #SmallBiz. Want your content to spread further? Use such hashtags when sharing your own content, and maximize who can see your content. You can do something similar on other social platforms, such as Pinterest. Let’s say you sell food products, such as your own line of BBQ sauces. You could use the #BBQ hashtag on Pinterest to share photos of recipes using your product and to connect with others who like barbeque. For the Small Business Influencer Awards, we use the hashtag #SMBinfluencer. It’s a way to develop energy and excitement around the Awards, and for us as the Award organizers to track discussion around it. Nominees use it to see the discussion other nominees engage in and share with their communities. See how others are using hashtags. Hashtags.org is a service that aggregates hashtags and tells you what people are discussing. It’s bound to give you ideas with great hashtag examples. And don’t forget to check out 5 more ways to use hashtags for your small business. We also have a good meaty discussion on hashtag hijacking and how to avoid getting yours hijacked for negative publicity. How do you use hashtags in your business? Share your suggestions below. 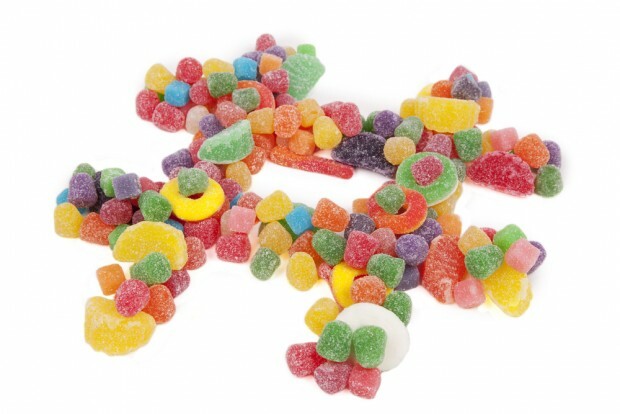 Shutterstock images: Social, Candy. Facebook image via Facebook. I have never used hashtags before, but after reading through this article, I think, it could be useful to chime in the conversation and be noticed by others. It is useful to continue on the topic and also for references. I totally agree! Thank you for such a GREAT guide to something I have been in the dark about. Fantastic! Great description of hashtags and a complete how-to. #THANKYOU – I’ll have to check what group of chatters use that hashtag. I’m going to check out your small business websites as well! Thanks, now I now what a # tag is and I have started to used it. every little bit of help, help in my marketing effort. Thanks. Any of my friend’s dry cleaning outlets in Big Moose, NY can remove hash tags so well that nobody can see you got spammed. Paint ball tags are another matter though. Sorry folks but I firmly believe Hashtags are a sign of the growing importance of laziness in our “in” society. Some of this problem could be assuaged through improving ones verbal skills rather than relying on childish icons to promote a unique position one holds. Okay, I’ve read the article, and, although I think I understand that I can click on a hashtag and find more information about the topic, I still don’t understand how to create one. I could just type something and put a hashtag in front of it, but I don’t see how that would direct people to more information about what I just typed. Can anyone explain it better? Please? Hi Sharon, if you want others to find your content through a hashtag, start with a hashtag that others are already using for content relevant to yours. Yes, you certainly could create a hashtag from anything (example: #goggledygook3). But you’re right in that no one else is going to be searching for #goggledygook3. So instead, start with a hashtag already in use. Go to Twitter.com and in the search box type a hash sign along with a term and try to discover a good relevant hashtag to use. For instance, if you’re giving small business advice, try something like #smallbiz. You’ll see it’s popular for small business advice. Keep trying different terms until you find something. Good luck! Sharon….LOL It’s a good thing it doesn’t cost anything to re-read this article over nad over again because I know I’m a bit of a social media “dolt” but I am still in the dark as much as I was the first time I read it. Some of us are waaaay behind in social media education. We’ve got a lot of catching up to do. Thanks for going into this one. I have more of an understanding of what hashtags are about and what they can do, whereas before I never truly had a grasp on it though I’d use them at times – I just knew it was the thing to do rather than why (really why). I also find hashtags helpful for giving context to a tweet. If you’re joking or using sarcasm, a hashtag like #yeahright, will let people know you’re joking (because they can’t hear your tone when you say it). I would rather see joking portrayed within parentheses than in a hashtag. The purpose of a hashtag is mostly to get others to find content they want to be part of, not to express emotions. For over 70 years I have been misled by the phone company. Once in a while I get a message to leave a message and then “press the pound sign”. Some one needs to inform them that they should change their message to “press the Hashtag”. LOL – See, William, you learn something new everyday! Just wondering if William’s inspiration has accurately rubbed off on my old, retired mind. Did some searching and the hashtag #diywebcopywriter is now mine, it matches my new website to a ‘T’…. All of my life that symbol was called a pound sign. When did it get re-named? Is hasn’t been renamed. It’s a pound sign or number sign in the US and Canada, a hash sign in other countries. I have never ever heard it called a pound sign until I read this article. Surely a pound sign is the symbol (an L with two crosses) that is placed before a number to signify an amount of money. Obviously the term “hashtag”, is a new name for this symbol, a name that came about with Twitter… I guess it is as with the “@”. That was never called “at” before e-mail came around, right? BTW, I guess it is as with language in general. All languages are constantly changing, new words come about all the time, old ones are redefined and some become obsolete. E.g. I just discovered the word “gaol” (pronunciation: “jail”). Never knew that “gaol” was commonly used in English for “jail” before, or that it is still commonly used in Australia (saw it in a subtitle while watching an Australian crime documentary)… For me, who does not use English daily, it gets really difficult if I read older English texts. It’s amazing how much English has changed even the past 100 years (not to mention the past 400!)! The correct name for the ‘@’ sign is called an ‘ampersand’, however many call it the ‘at’ sign. This is quite funny because this is the same question that my mom asked me last night. The funny thing is my dad tried to explain it and he related it to something that’s totally out of context. Whoever came with the term certainly got it popular. At least the next time they raise the question, I can just refer them here. Hashtags are like an evolution of a keyword as a vast compact of different ideas. For a hashtag to be a trend it has to be replicated at a certain interval–in this case retweeted or quoted not just by one user but by a lot. It’s hard to make it at the top but it requires timing and luck! Not many are still familiar with how social media works inside and out, so thanks for writing this informative article, Anita! Thank you so much! You’ve answered so many of my questions on this. While I’ve read other articles on the topic, I remained confused. Now I think I finally understand. Very grateful! yes! I HATE hashtag pollution — what a great term. I did not know that there is such a term but that is a nice way of putting it. Very thoughtful write up Anita. This post is perfect for non technical, less experienced social media managers and written in a way that even lay persons can understand what hashtags are and how they are best used. It is truly a talent to explain hashtags and how they relate to several social networks and break it down in a way most anyone can understand. As a bonus to the readers, you also provide some great insights on hashtags use in various contexts which is what makes this post so dynamite! Question; if I want my twitter message to direct folks to this article is there a way to see if a hashtag already exists? Wow! Thanks for the info, I learned a lot. Although I’ll have to practice how to search for hashtags, I don’t get it. I see a lot info on how to add a hashtag, the proper usage etc… But is anyone making use of it? It seems like everyone is hashtag happy but is anyone actually searching for content based on the hashtag? Just wondering if anyone has benefited from it. This hashtag thing drives me nuts. Just type in some more words will ya! BTW… @ has been around longer than e-mail just as the triangle shape means “change”. This whole hashtag thing is just plain stupid,its a pound sign. I guess its hashtag for twitter morons? Sorry Terry, I don’t use Twitter, but I do know what a hashtag is. It’s always been called that in Australia. I don’t see how it could possibly be a pound sign. We used to have sterling currency and the symbol we placed in front of numbers certainly wasn’t #. It was and L with two crosses, which is a pound sign. Hope that clarifies it for you. Thank God, I’m not alone! Hey, I get it! When mom use to make ‘hash’ she would cut the potatoes in this fashion using this (#) pattern!!! Wow! voila, HASH!! LOL!! Thanks, Constance! Glad to hear it helped. Still confused, so I can make up an hashtag, but how do I link information to it Like a hyperlink, where do I link the group of info that is related to that hashtag? Hastag is very important when it comes to social media. When you want to look for some specific terms over twitter and facebook “#” gets the job done very well. Very nice post regarding hashtag. No one in this gathering even mentioned these True Usage traditions:…This #Hash thing has been used as a “Number Sign” eg: (# 21 )..etc” and I still used for that purpose as most people do to this day”! As well in traditional “Phone” usage it is used to access ”additional information”, as well as a ‘sending function’ such as leaving, or sending data and messages”…This newer #usage is just that” “… they’ve found another way for this Number/Pound sign/ EURO=Hash title along side with these many-“Years-Old”, and traditional procedures “That’s All” No Big “Rocket Science” here Amen! Interesting article. I have been reluctant of using instagram hashtags too much, but from your article am interested to see how it can increase the exposure of my tweets. One problem I have been having is to search for hashtags from a user INCLUDING retweets. Currently it seems to ignore those.. Thanks again! I had a friend who would laugh at his Facebook friends who are putting hashtags in their post. I guess he doesn’t know what it is for and he doesn’t know that it is for discovery. From there, I thought that hashtags may not be as popular as I think it is. I was kind of surprised with people who don’t understand this. But I guess some people don’t see the point of putting topics on their statuses. I like it because it allows me to search through statuses and posts by just clicking a hashtag. Hashtags are great if used properly, however I got a post on facebook where every word was hashtagged. Beautiful Article. You explained it beautifully. It will change the marketing completely. The article gave incredible insights on Hashtags and its importance in the present day Digital marketing strategy. Loved the content. Thanks. I am also confused…Is this basically used to communicate on the social media? As I’ve been able to figure out, Hashtags are mostly used as keywords to group messages of a certain topic. They make it easy e.g. to search for and find other tweets with the same topic. So yes, they are used in communicating on social media sites, the use started on Twitter, as far as I know. Pingback: What is Hashtag Hijacking? Pingback: How Do You Use Hashtags?